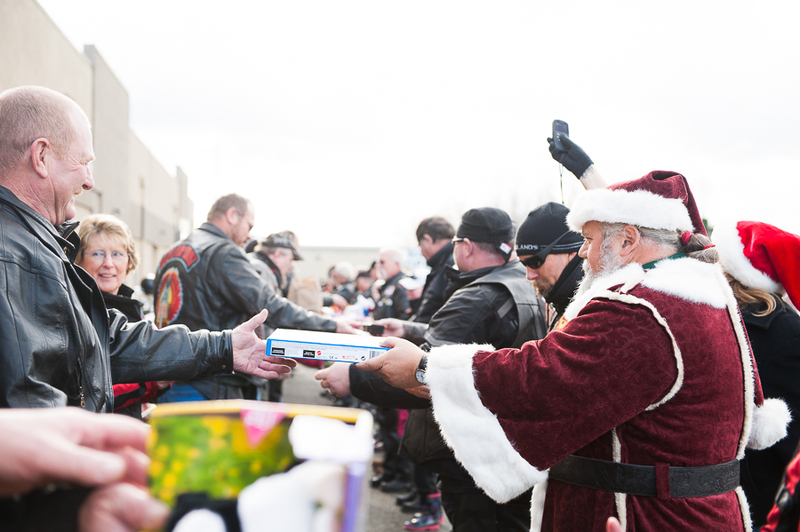 Every year, the Legion Riders have participated in the Toys For Tots Run with other Local Motorcycle groups, to help provide Christmas gifts to local children who’s families are unable to provide gifts for them on their own. 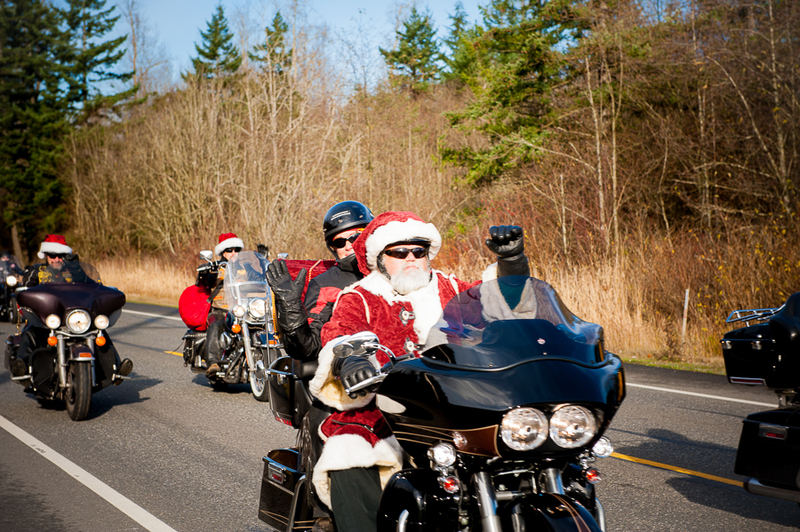 It is one of our favorite events every year and one of the more emotional ones. 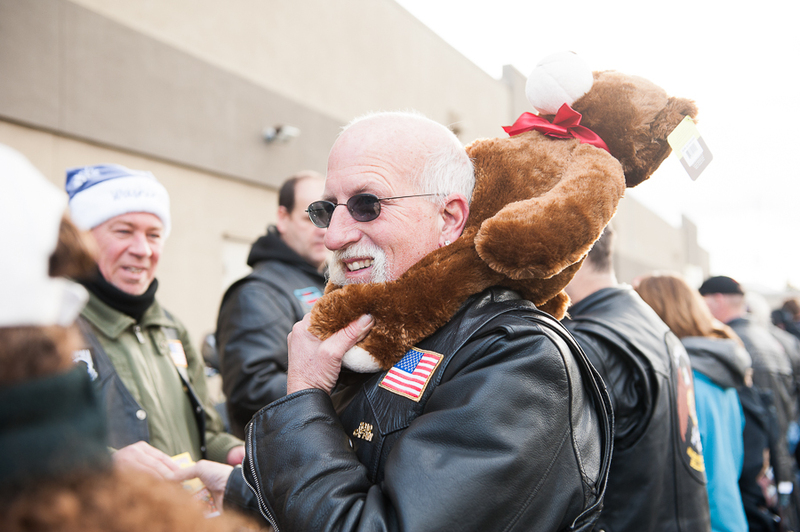 The Riders meet at the Biker Church on Northwest Avenue and when Santa arrives – we all pile all of the toys we gathered and got donated for the children, into any vehicle that is available to transport them all and then make our Run to the Toys for Tots station. 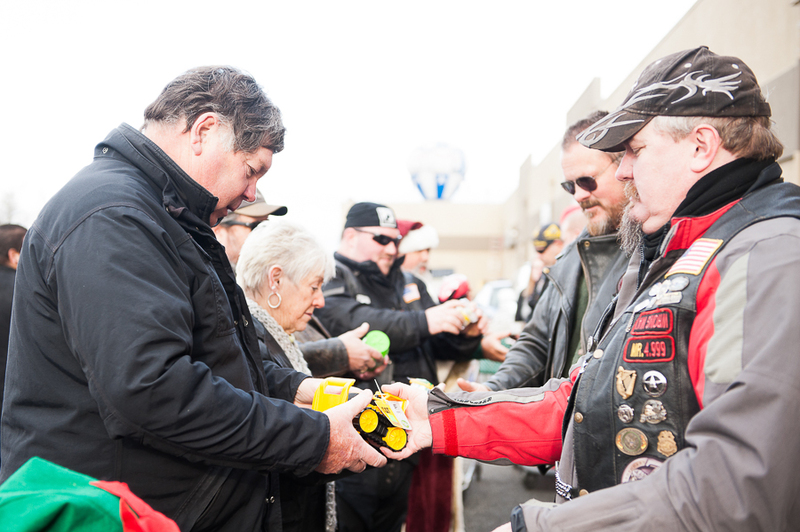 Once we arrive at the Toys for Tots donation location – we make two lines and stagger ourselves so that every single toy that we were able to provide – gets handed to each person to touch and hold before passing it down the line. Sometimes we laugh a lot. 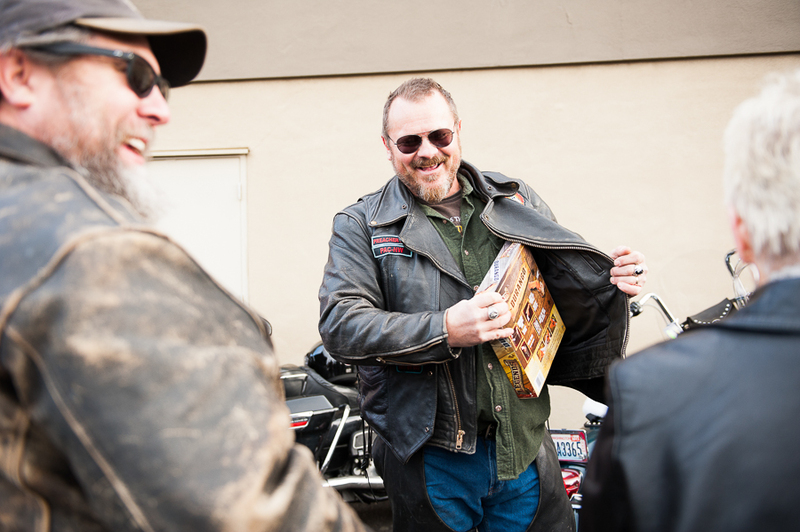 Sometimes we try to hide the cool toys in our jackets. Sometimes we have mini sword fights. But most of the time…we think about the joy that another child will have when they open that very toy on Christmas morning and know that we were able to bring happiness not just to that child – but also to the parents who were so worried about being able to provide even one gift for their child that year. 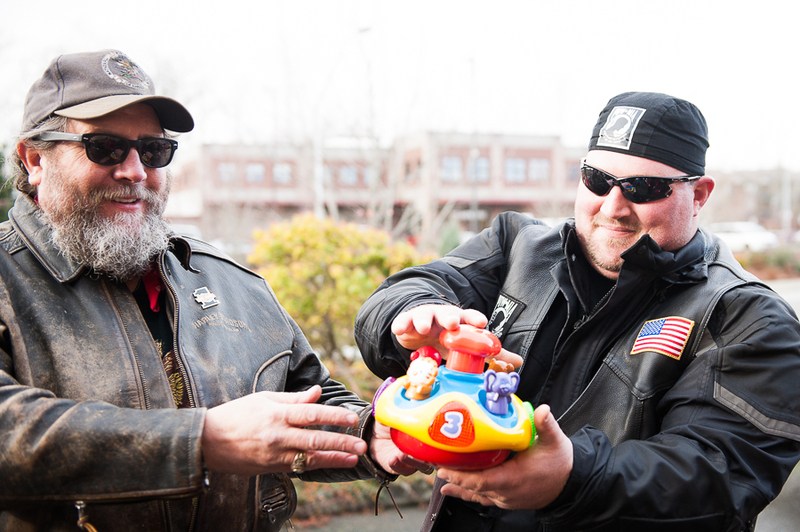 If you would like to participate in helping gather new toys for local children in need – please bring your new and unwrapped toys to the Legion Post 7 and leave it for Erika or Chris Moran. 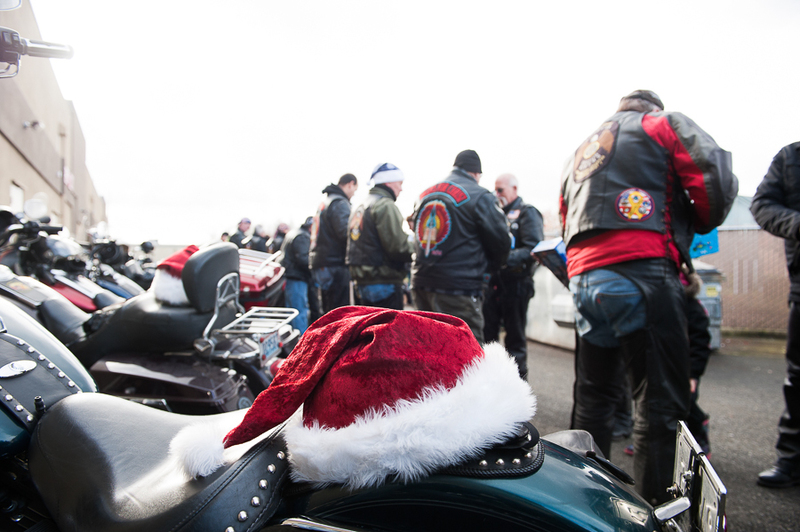 To see last years Toys for Tots Run – please visit our Photo Gallery HERE.